Looking to sell your home? Well, be warned that it’s a bit of a process: In fact, studies have shown that it costs about $18,342 on average to sell a house, and the process itself can take about eight months—between preparing the house for selling and the amount of time it stays on the market. If you plan to sell your home, you want to know that you’re going to get the absolute best price, and a new report from Zillow takes a look at which features can help you get the premium you desire. To zero in on what makes a home sell for more, Zillow looked at the listing descriptions for almost four million homes that sold between January and December 2017, and analyzed keywords and features these homes had in common to find out which items helped a home sell for more than expected. There are some surprises—who knew there was a high demand for pet amenities?—and some clear trends (turns out, everyone loves the modern farmhouse look). Ahead, check out the top 20 features that are proven to make your home worth more money. And PS: Painting your home this color will probably help, too. The self-care movement is moving beyond the bathtub, with steam showers being the top feature home buyers look for. Predominantly seen in Chicago, steam showers help vaporize the water for a warm bathing experience that can make you feel like you’re in a luxe spa. A steam shower can make a home sell for nearly 30 percent above asking price. This one isn’t that surprising, as it seems like everyone wants to be the next Top Chef; homes with built-in professional appliances can sell for 29 percent more than expected. We know: We’re just as surprised as you are. But similar to the way top-of-the-line appliances get the hits, homes with pizza ovens command higher prices, so don’t feel bad about indulging in this seemingly frivolous kitchen feature. With more millennials buying homes for their pets (and not their kids! ), it’s clear their pooches and cats deserve some amenities, too. A pet shower, which is most common in Denver, can increase the sale price by 25 percent. 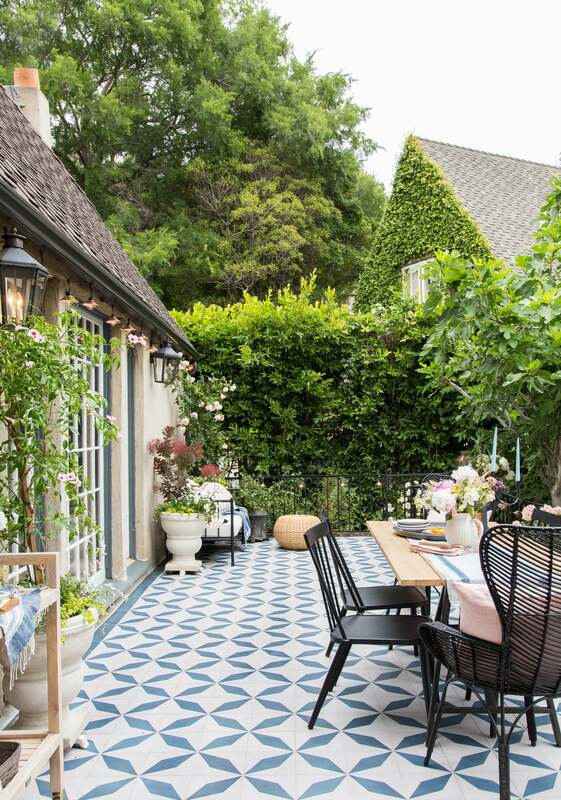 Entertaining is no longer reserved for inside the home, and an outdoor kitchen makes those patio parties easier than ever. Dallas, Texas, sees the most listings with outdoor kitchens, which makes sense, given the mild weather year round. There seems to be a trend here: People really care about their kitchens. And a prep sink is essential, as people want separate spaces to entertain. The best prep sink we’ve ever seen? That would be located in the bar of this Toronto home. It’s not surprising that additional space would result in additional profits, and we’d wager that homebuyers are interested in turning these spaces into home offices, chic hangout spots, or guesthouses. Of course, people could very well just be interested in a place to store their garden tools and bicycles. Heated floors are the ultimate cold climate amenity, and in places like New York, they can increase the value of a home by 24 percent. Meditation rooms are on the rise: The ultimate place to rest and recharge, a home with an amenity like this really speaks to people’s desire to nest in their spaces. (And not surprisingly, Los Angeles boasts the most.) This Austin apartment proves your meditation nook doesn’t have to be huge: It just has to be right for you. The best way to keep your wine tasting great is by investing in a wine fridge that’ll keep your bottles at the right temperature… and homebuyers are willing to pay a premium for this very feature. Ah, back to the kitchen. Like we said, everyone wants to be the next Top Chef—or at the least, they want a professional space for both family time and entertaining. In this breezy coastal abode in California (of course), clean white features and contemporary elements make up a kitchen the whole family can enjoy. The people have spoken, and they prefer craftsman-style homes by a landslide (43 percent, to be exact). Those cosy features have a big following, with craftsman homes selling for 21 percent more. Want to buy one for yourself? Seattle, Washington, has the most for sale, according to Zillow. A clear trend in home design is herringbone or parquet floors. Heck, you can even get this hardwood trend in an Airstream. Adding a modern element to a bathroom, free-standing tubs are all the rage right now (we think about Leanne Ford’s swoon-worthy tub on a daily basis). They can be placed anywhere, and are in-demand enough to make your home sell for 21 percent more. When Ikea starts doing it, you know you need to get on it—and solar panels are high on the list of most-desired home amenities. Not only can they cut one’s electricity bill by up to 40 percent, but they can also earn you 21 percent more when you decide to sell your home. You won’t even need statement lighting when your ceiling itself makes a statement—which might be why coffered ceilings are so desired by homebuyers. For a truly pleasant outdoor experience, a fireplace is a must for when the weather gets cold—and most homebuyers agree. Of course, Los Angeles boasts the most, but the rustic brick version in this sophisticated Montauk home has us dreaming of lazy Hamptons days, too. Carrara marble always boasts a clean, yet glamorous look that works for both minimalists and maximalists alike—just peep the bathroom in this stylish Nashville home if you don’t believe us. It also works well in kitchens, making it one of the top materials needed for potential homebuyers. Used for both entertaining with friends or for a cosy solo movie sesh, a home theater is a luxury many homebuyers are willing to pay more for—19 percent more, to be exact. Turns out prep sinks aren’t the only option people look for—farmhouse sinks are also trending in a major way, with homebuyers seeking out these cabinet-free pieces. We’re totally in love with this one in Thomas O’Brien’s pool house. Where Are Millennials Buying the Most Homes?